Due to the popularity of Oakley sunglasses, with high price and new technology. Oakley sunglasses are one of the most knockoff brands. As a consumer , you must be aware when purchasing Oakley sunglasses. There are so many ways to tell the difference between fake and real Oakley sunglasses. If you are a pro fan of Oakley, it's easy for you to know if the Oakley sunglasses is fake or not. But as a common user, you must learn a few obvious tips which can spot scam / fake Oakley sunglasses easily.Now let me make some examples concisely for you. If the price of Oakley sunglasses is way far cheap to be true, then it must be fake definitely. Normal price of real Oakley sunglasses is about 100 dollars per pair, if it is sold under 50 bucks, it may be fake 95%. So don't buy it when the price seams too good to be true. Authentic Oakley sunglasses neither put the icon on its lenses, nor does it print on its lenses. Any marks will be etched. If you see paint on the lenses, give up it for somewhere else. There are some styles of Oakley which come in multiple frame materials. For example, the Oakley Jupiter line has Jupiter Carbon, which are metal, and Oakley Jupiter Squared, which are plastic. However, there are some styles that only come in one material. If you come over a pair of metal Oil Rigs, they're 100% Fake Oakleys. If you come across a pair of plastic Juliet, they’re also NOT REAL. 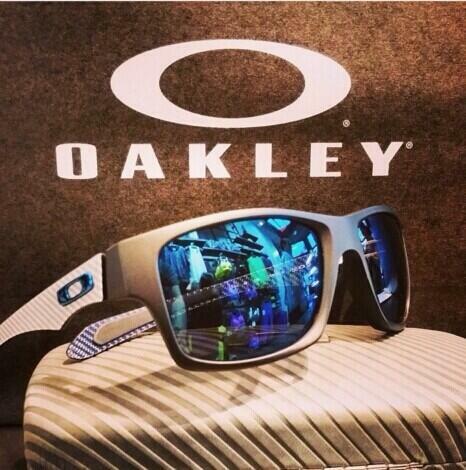 For more, you can visit these links which also give more detail about How to Spot Fake Oakley.